Today, various billing companies offer to use Bank cards is a convenient alternative to cash. But there are different cards: debit, credit and overdraft. You need to understand the differences. This is a card that allow you to manage your own funds. On the account there is money that was put in by the owner himself, his employer or any other person. Use only the amount that is present in the account. The design of this card very simple, only need to contact the Bank and present your passport. What debit cards are usually issued for wages, pensions or other payments. For savings purposes, this form is optimal, but the interest on the current account is typically lower than savings. The features of the accumulation you need to know the Bank branch where you will be offered complete information. On account of owner are just the Bank's money that you can use for your own needs, and then to repay the loan. 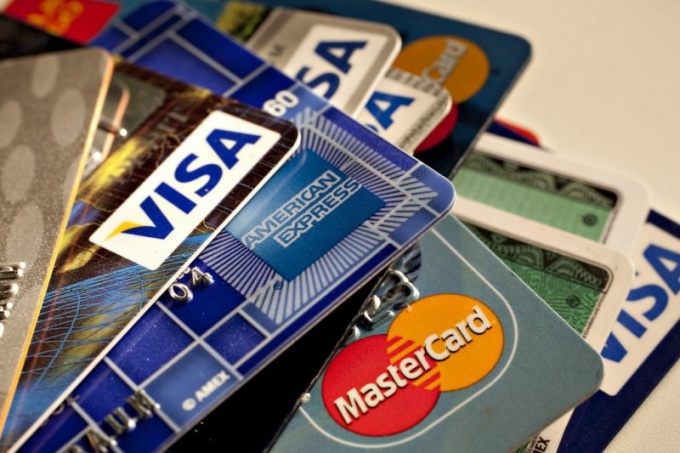 Credit card can be different, it depends on the solvency of the owner. It is possible to withdraw the entire amount or part of it. To return them then you with interest. In some banks there is a percentage not only for use but also for cash withdrawals. For processing credit cards require a minimum of 2 of the document, and often also the income statement. From the package of documents will depend on the amount of the loan possible. Remember that many credit cards have a grace period during which you can repay the used amount, without interest, but if you miss it, over time, the amount of the monthly payment will increase. This option combines the possibilities of credit and debit cards. Account can be funded by the owner, and there is also the opportunity to take some money from the Bank. If a purchase the money is not enough, part is paid out of the loan. Borrowed finances are charged interest and must be returned in accordance with the contract. Usually overdraftov maps have the ability to take a loan in the amount of not Presidium 200% of the monthly income. It is very convenient, as it is difficult to get into large debts, but this need may not apply to the Bank for loan approval, and immediately use the service. The card requires at least 2 of the document, but often such opportunities are given to those who pay the wages on a Bank card. The establishment sees all of the revenue may assess the creditworthiness of the client and provide the best loan terms.